While there is a treasure-trove of horse books for the teen audience, finding a good horse read for adults, where the horse action is realistic, the dialogue spot on and the romance is hot can be a difficult task. In The Reins was a book that satisfied all those requirements and was a good, all-around enjoyable read to boot. Devon Brooke is a young woman who seems a bit lost. She's just broken up with her fiancé, a man she realized, almost at the last minute, she didn't truly love. She has also realized that city life is not for her and so she packs up her few belongings and hits the road. Devon doesn't know where she's going, but as she's driving, and thinking, she remembers how having a horse in her youth made her happy and fulfilled. Devon heads south and eventually finds what she feels will be a good place to live. Along the way she finds a promising three-year-old mare, Faith, that she buys, and then starts the search for a boarding stable. She settles on Green Briar, a little piece of heaven owned by a sweet elderly woman by the name of Sophia Matilda Washington-Clark. While her name may imply a wealthy background (and it does), Sophia soon becomes one of Devon's closest friends and confidantes. Devon also meets JD at the farm, a ranch hand who is good looking and kind. While JD would be happy to start a romance with Devon, she thinks of him as a friend, not a romantic interest. Devon and Faith quickly settle into life at Green Briar and all is going well until Devon meets McKennon Kelly, a part-owner of Green Briar. To say that McKennon is a hunk would be an understatement, but he's also mysterious and is a fantastic trainer too. McKennon has the ability to bring out the best in any horse, and while the last thing Devon wants is a relationship, the fact that McKennon might be able to help her with training Faith brings Devon to him. While Devon is drawn to McKennon, there's something in his background that is keeping him from sharing his own feelings, and keeps him running away, time after time. What is it and will it destroy any chance the two have at happiness? Debut author Carly Kade has done a wonderful job of bringing the horse world to life in In The Reins. She aptly captures the essence of a training barn, with the highlights and frustrations of training a young horse. The descriptions of the beautiful fields, the smell of horses, and all that goes with life around the farm bring the story to life. Of course the relationship that develops between Devon and McKennon is the focal point of the story and the author developed this with believable dialogue and by incorporating the ups and downs that all relationships go through. There was always the mystery of McKennon's background and why he kept disappearing for weeks at a time to keep readers curious and turning the pages. 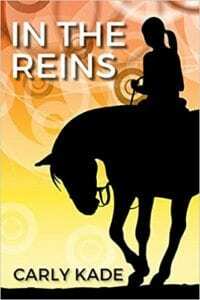 In The Reins is a book that any adult horse lover is sure to enjoy. 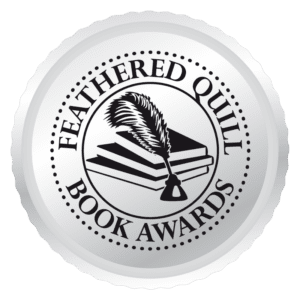 Quill says: If you love horse stories and are looking for a book to draw you into its pages and not let go until that last page is read, check out In The Reins - you won't be disappointed.